The future of our country, the direction that we go as people, whether we move ahead to meet the challenges of the future or slide back into the irresponsible policies of the past, will be determined by those who get involved. When I look at Sarah Palin, when I think about Sarah Palin, when I write about Sarah Palin, one thing stands out: This woman has cojones. Grande cojones! One of the most frustrating things about the modern day Republican Party is, for the most part, they are gutless wonders. Even the ones who you find appealing, the ones that look like they may have some fight in them, will let you down at some point. We are at war in this country. We have been at war for the soul of this nation for over 100 years. A minority group of Marxist-progressives have slowly, but methodically infected this nation with an ideology of hate, division, and failure. Over the decades they have eroded many of America’s greatest strengths. With the tragic election of Barack Obama, the war has escalated to thermonuclear status. Not only is every tradition, every custom under assault, so is the Rule of Law, and the very Constitution that protects us from a tyrannical government. So far the Obama regime is winning this war, aided by their media partners who serve as little more than a Ministry of Propaganda. 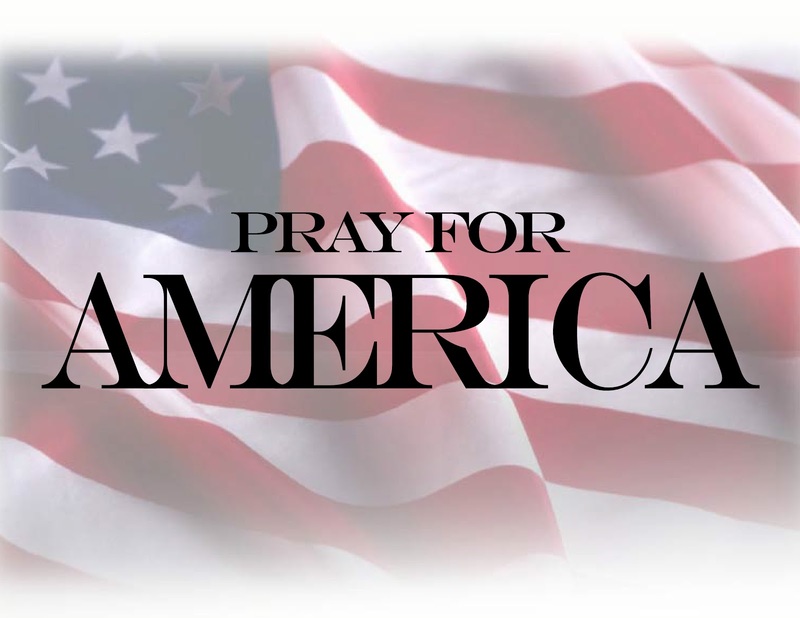 We are on the verge of losing America, as we know and love it, forever. If not curtailed, the Obama regime will soon have America destroyed, and what will be left will more resemble a third world Banana Republic, than the world’s only Super Power. Only one person has really shown the ability to stand up to the regime and take it to them on a steady basis, and that’s Sarah Palin. The radical left hates her for it. The Obama regime has tried ever dirty trick in the book, everything it learned from Alinsky, as well as decades immersed Chicago corruption and thuggery, and yet, not only is Sarah still standing, she has gotten stronger. Justin Miller has written a fine take on this for The Atlantic magazine. While I don’t agree with everything Justin writes, he does get one thing right, for sure: Sarah Palin brings the Macho. 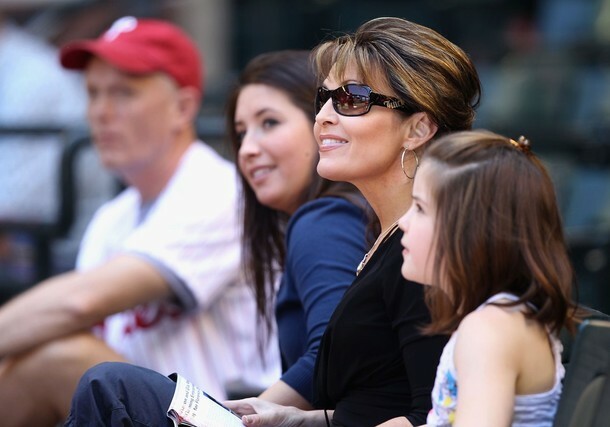 Republican primary voters like macho candidates and no one is more macho than Sarah Palin. In a way the fashionista and mother of five evokes more toughness than any man regularly mentioned as a possible presidential candidate in the GOP. Palin is visceral, in your face, relishes combat, and won’t be shamed. (Her hobbies include ice fishing, snowmobiling, running, and hunting.) These are traits usually and stereotypically associated with men – and they’re especially endearing to Republicans, who like to see President Obama hit with the most force possible. The basis of her popularity says nothing about whether she will or won’t run for president or even if she could win. It does show that she’s passing the Republican test of who is the toughest person on Democrats and Obama. It’s a “macho primary” of sorts. Palin goes after Obama at every opportunity and hits him hard. She doesn’t use a politician’s favorite tactic of saying at least one nice thing about the opponent’s character before shredding a man’s past, questioning his judgment, beliefs, and priorities. Palin shows as much mercy as Jack Bauer. Not only is Palin tough on Democrats, she seems to genuinely enjoy beating them up. 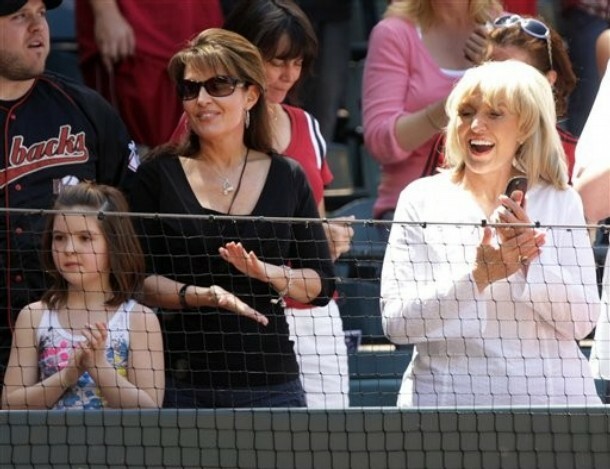 Crowds get behind Palin’s attacks of Obama because she makes being mean fun by using humiliation, sarcasm, cutesy catchphrases, and smiles. In 2008, John McCain was tough but not merciless on Obama. If he got energized by crowds, it was because he was ad libing and going back-and-forth with questioners–not because they were cheering his peroration. (Palin doesn’t really take questions.) McCain occasionally took his party to task for outrageous rhetoric. Even this modicum of restraint left Republicans dejected — until the pit bull with lipstick came aboard and started mauling Obama. Who else is as macho as Palin? Tim Pawlenty? Too nice. Mitt Romney? No fun. Plenty of Republicans refuse to apologize, but none appropriate negative accusations quite like Palin does. 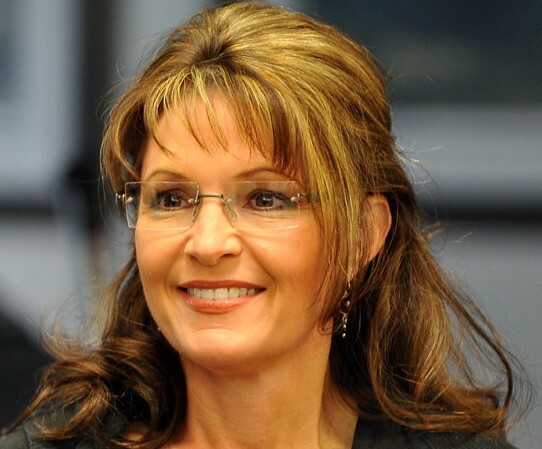 The last person to be loved by Republicans as much or more than Palin was George W. Bush. While he can’t run for president again, another Texas governor full of swagger could run and do very well in the macho primary: Rick Perry. Perry campaigned as a Tea Partier in everything but name during the Texas Republican primary this year. He used anti-Washington, right-wing rhetoric as hot as anything Palin has said–and went on to demolish Kay Bailey Hutchinson (he’ll win the general election). Get a taste of the rhetoric and see how much Perry gets fired-up going after Washington here. Republicans don’t want a passionate reformer or soothing reconciler–they want a fighter. It’s not just Republicans who want a fighter…Americans want a fighter! 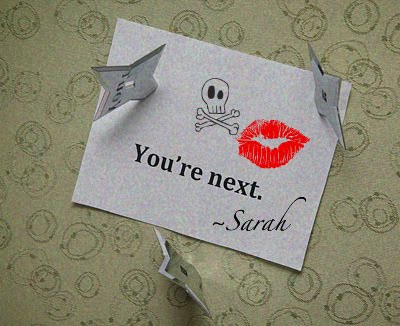 Another thing…Sarah isn’t afraid of taking wayward Republicans to task either. Just ask the Alaska Republican Party! While I agree in principle that Rick Perry is also a fighter, and a great Governor, who will indeed win re-election, even he is a bit timid at times compared to Sarah Palin. He sure would make a great Vice President in the Palin administration though! If I had to make a real comparison to Sarah, with someone in the Party, it would have to be Minnesota Congresswoman Michelle Bachmann. This woman also has cojones. In fact, it seems that only Conservative women are blessed with any real testicular fortitude nowadays. Like Sarah, Michelle is absolutely hated by the left, and she wears that as a badge of honor. Michelle has grilled top people in the Obama regime, asking them to point to the part of the Constitution that allows them to do what they do. (and left them a quivering mass of humanity) Michelle has called the Obama regime and Marxist-democrat Congress “gangster government.” The girl’s got game. Sarah has carried that competitive urge with her all through life. Sarah is a take no prisoners, in it to win it, kind of person. Look at her reaction when the McCain campaign decided to pull it’s efforts out of Michigan late in the game. She was ready to go, on her own dime if necessary, to keep campaigning there. She wasn’t about to concede a single acre of ground to the Obama campaign. You can bet your last dollar that come 2012 she will have a solid 50 state strategy. No one is better at retail politics than Sarah Palin. But there is more to it than just guts and a competitive spirit. Sarah Palin stands for things, and there is very little grey area in her positions. Sarah doesn’t do nuance. When Sarah started speaking out about ObamaCare, she zeroed in on the fact that health care would be rationed under the government system, just as it is in every nation on earth that has government run health care. She coined the term “death panels” to vividly describe the boards of bureaucrats who, in place of you and your doctor, would decide who gets what care. The left, as well as the establishment Republicans, lost their minds. When they called her a liar, she wrote another op-ed and doubled down! In fact, Sarah made absolutely certain the term “death panels” became a household word, a part of the American lexicon. Of course, she was proven right, as we recently wrote, Peter Orszag, the Obama regime’s budget director admitted that yes, there were “death panels” (though he didn’t call them that) and yes, there would be health care rationing. You can read more, and see video of the guy in his own words, here. Name me another person who could have stood up to the intense ridicule and hatred Sarah Palin faced on this one issue, never mind the insanity the mere mention of her name causes on the left and among the establishment GOP. You think a Mitt Romney could withstand a daily assault from the Obama regime, their media partners, as well as the loser wing of the Republican Party? Don’t think so. Of course, as the establishment’s choice, I guess the country club GOP’ers would leave him alone. Let’s look at the latest “controversy” out there: Illegal immigration. Arizona just passed a tough law that mirrors the FEDERAL law, and simply empowers local law enforcement to enforce the laws that are already on the books. Obviously the left is going nuts, as they are counting on the support of all of those illegals. Why do you think they are pushing for amnesty? Instant Marxist-democrat voters baby! That and the Marxists get to play their favorite card, the race card. Identity politics ‘till the bitter end. What was Sarah’s stance? First she said: “What part about the word ‘illegal’ don’t YOU understand.” She appeared on the Sean Hannity Show and talked about the issue. She also touched on something the rest of the GOP seems too timid to talk about, Obama’s continual playing of the race card, and his attempts to divide the nation along racial lines, rather than bring the nation together. You can see Stacy Drake’s report here. 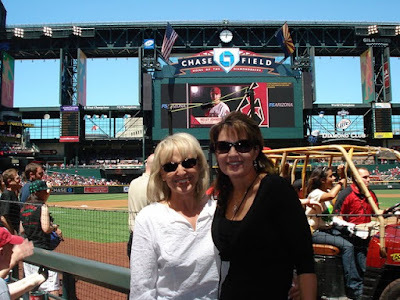 Something else Sarah did, she went and supported Arizona Governor Jan Brewer, as well as the Arizona Diamondbacks baseball team, who have been targeted by vile communists wishing to stir up trouble. This was a real “in your face” to those who find it troubling that we should actually FOLLOW THE LAW! Phoenix, Arizona is the kidnap capital of the United States, and ranks number two in the world. This is all due to illegals who come here, the human trafficking it takes to get them here, and the drug trade. It amounts to no less than an invasion by foreign forces. An incredible amount of violence has been visited on the Arizona people, and the federal government has failed to respond. The federal government has failed to carry out it’s number one constitutional duty, protecting the American people from all enemies, foreign and domestic. Instead, politicians have tried to use this issue for their own political gain. It borders on treason. Since the federal government refuses to enforce it’s own laws, and protect it’s people against this invasion of violence, the state of Arizona was forced to take action. Arizona must protect it’s people. I’m sure Mitt Romney will weigh in as soon as all of the polling is done. Speaking of polling, Arizona voters overwhelmingly support this action, with 70% approval, and over 60% of voters nationwide approve as well. The Obama regime dithered for nine days while a possibly containable oil spill in the Gulf turned into a disaster of epic proportions. They couldn’t find they time as they were too busy demonizing everything that makes America great. This is Obama’s Katrina. Actually it’s worse, because there is simply no excuse for waiting so long to act. Stacy Drake weighs in on this mess here. Of course, once Obama and his crew did get involved, it was purely political, with the regime using this as an excuse to halt America’s efforts toward energy independence. The GOP has been totally silent on this, but not Sarah Palin. Sarah knows first hand what this tragedy will do to the effected area, having lived with the damage from the Exxon Valdez disaster. She writes extensively about this heartbreaking event in her book. One can tell it shaped her stance on tough standards for oil companies. Instead of knee jerk panic, or political opportunism, Sarah calmly addressed the situation, showing the true leadership this nation requires. Both as an energy and environmental regulator, as well as Governor, Sarah has proven her expertise in the field. She has shown clear judgment where others have failed. You can see her statement here. This is the story of Sarah Palin. She is a strong leader who, as Ronald Reagan would say, “paints in bold colors.” There are no “pale pastels” in Sarah’s pallette. Sarah Palin stands unwavering and true, where others are too timid to tread. Though this doesn’t have anything to do with Sarah. A friend sent me this video that reminds us of the strong bold leadership the Republican Party used to stand for, especially under Ronald Reagan. Though not President, yet, I think Sarah Palin, like the great men portrayed in the video, is the right leader at the right time. Someone who truly understands American greatness, American exceptionalism, and will never apologize for wanting America to remain The Shining City on a Hill.